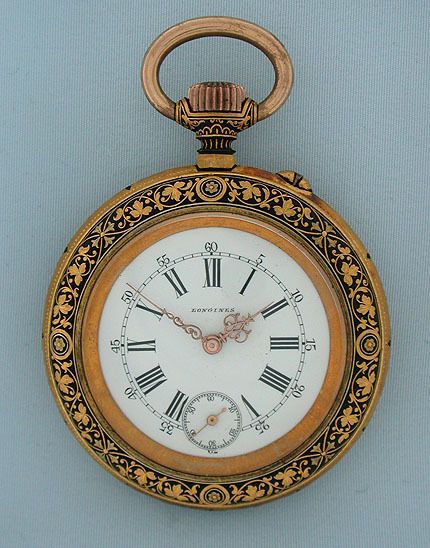 Fine, scarce, and very beautiful Longines Toledo work steel and gold antique pocket watch circa 1890. 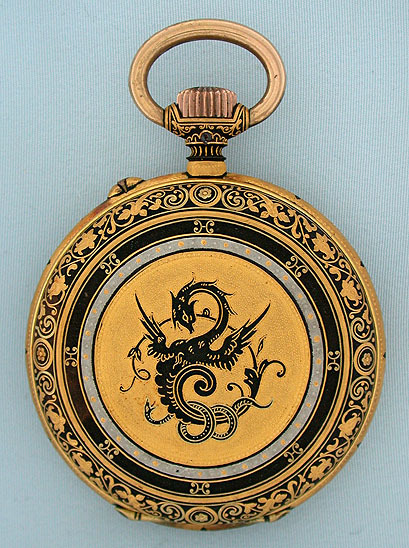 The steel case with wonderful intricate gold decorations. White enamel dial with fancy gold hands. 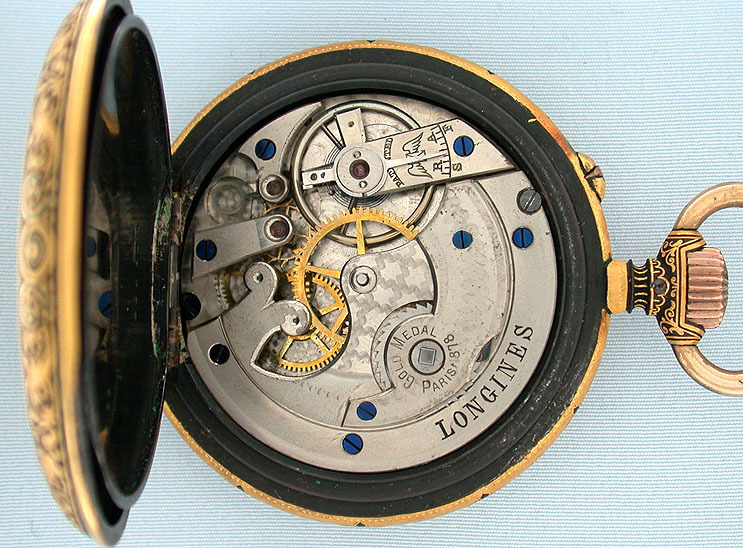 Nickel 11 jewel movement with counterpoised lever. A most attractive watch in particularly fine condition.